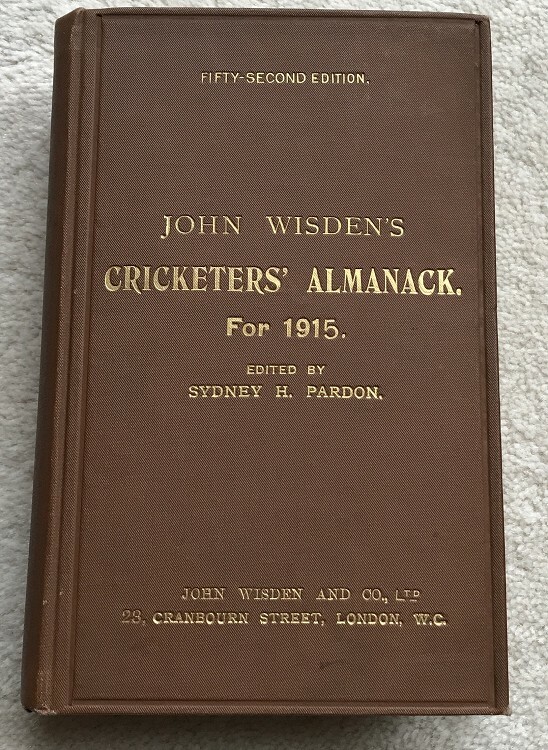 1915 Wisden - Original Hardback - Very Good. This lot is an Original 1915 Hardback Wisden . Postage: £9 which covers Special Delivery & Jiffy Bag.